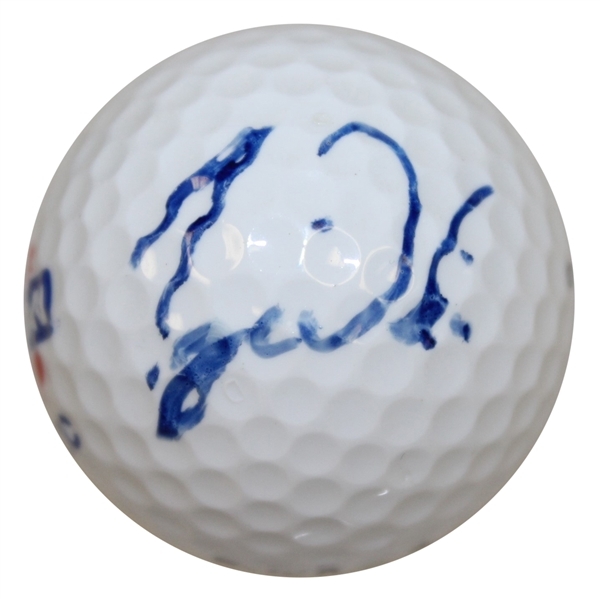 A Tiger Woods signed golf ball is difficult to come by, regarded as one of the toughest autographed golf balls to obtain with his long stance on not signing golf balls. 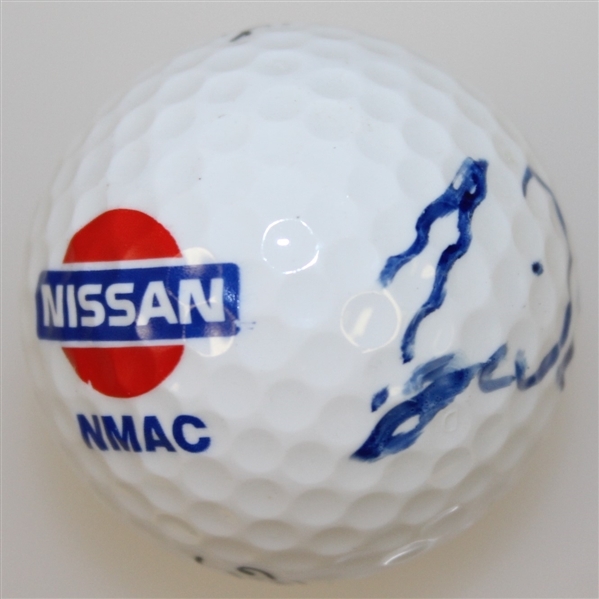 Here we have the golf icon's signature penned in black marker on this Nissan Open logo golf ball. 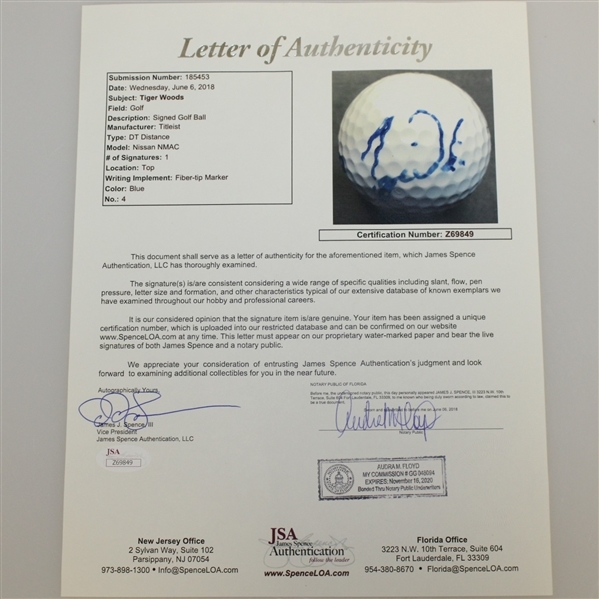 Whether Woods regains his dominance and catches Jack Nicklaus' unrivaled 18 major championships or not, this ball is a collector's piece that will only gain value. 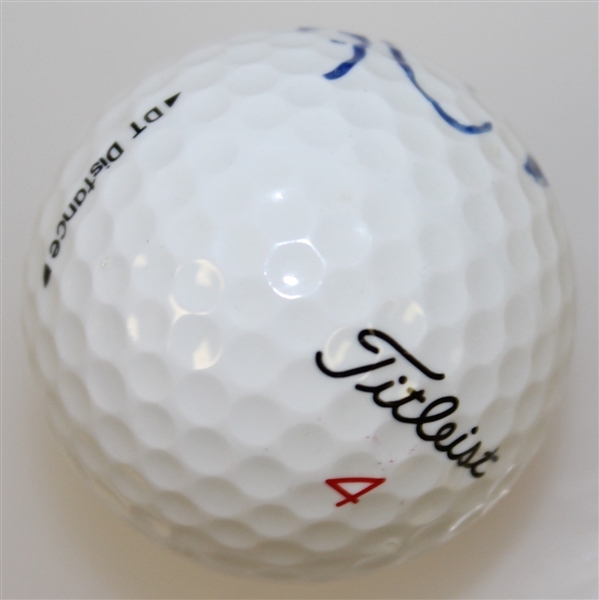 Woods sits at 14 major victories and has shown flashes of brilliance in the past few years, but injuries and personal troubles have kept him from his chase of Nicklaus' record, a chase that once seemed to be a given that Woods would reach.